During the New York City premiere of Deadpool 2 on Monday, producer Simon Kinberg revealed some new details about his directorial debut, X-Men: Dark Phoenix. While the movie was originally slated to debut this November, it was pushed to February 14, 2019, and while it will likely be some time before we see the first footage, Kinberg made it clear that this version of the story is much more true to the comic, than the divisive 2006 movie X-Men: The Last Stand. Here's what Kinberg had to say below. "I'm trying to think of what I can say that's new and that I can't get tranc-darted in the neck for telling you. I directed the movie and it and it's much more loyal to the original comic than X-Men 3, which told the Dark Phoenix story. It's a movie that involves extraterrestrial characters, which is not something that we've done in the X-Men franchise before, and is something that is a huge part of the Dark Phoenix saga in the comics. The first two X-Men movies were directed by Bryan Singer, 2000's X-Men and 2003's X2: X-Men United, which ended with a tease that the next movie would follow the Dark Phoenix saga. Unfortunately, Singer did not return for the next movie, with Brett Ratner taking the reins for the final installment of the original trilogy, 2006's X-Men: The Last Stand, which followed the Dark Phoenix saga. However, the original trilogy was, in essence, wiped out by the time-bending events of 2014's X-Men: Days of Future Past, which allowed the studio to tackle this story with a new cast, and from a much different approach. When asked about rumors that the tone is darker than other X-Men movies, Simon Kinberg had this to say. "The tone is definitely... I wouldn't say it's darker, but it's more intense. It's more real, I think, and grounded, and hopefully more relatable, a little less operatic than we've been in the past." This movie also follows the "tradition" of sorts set in the previous three films, which are all set in different decades. 2011's X-Men: First Class is set in the 1960s, following the first group of mutants that came together under Charles Xavier's leadership, with 2014's X-Men: Days of Future Past set in both the 1970s, and in a darker, "present-day" timeline. 2016's X-Men: Apocalypse was set in the 1980s, and X-Men: Dark Phoenix will be set in the 1990s, although a specific year has not yet been revealed. 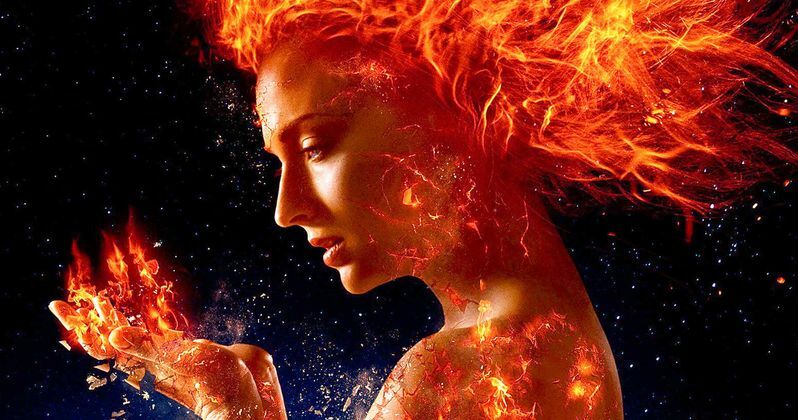 X-Men: Dark Phoenix marks Simon Kinberg's directorial debut, after spending more than a decade contributing to, and ultimately shepherding, this X-Men. Kinberg wrote and produced X-Men: The Last Stand, X-Men: Days of Future Past and X-Men: Apocalypse, while also producing Deadpool, The Fantastic Four and upcoming projects like The New Mutants, Gambit and X-Force. There is no indication when we may get our first official look at X-Men: Dark Phoenix, but that may happen during San Diego Comic-Con this summer. Kinberg revealed these new details in an interview with Entertainment Tonight.